This textbook is designed for a two-semester, sophomore-level course in Organic Chemistry in which biological chemistry takes center stage. For the most part, the text covers the core concepts of organic structure, structure determination, and reactivity in the standard order. What is different is the context: biological chemistry is fully integrated into the explanation of central principles, and as much as possible the in-chapter and end-of-chapter problems are taken from the biochemical literature. Many laboratory synthesis reactions are also covered, generally in parallel with their biochemical counterparts - but it is intentionally the biological chemistry that comes first. Organic Chemistry With a Biological Emphasis - Volumes I & II by Timothy Soderberg, University of Minnesota, Morris is licensed under a Creative Commons Attribution-NonCommercial-ShareAlike 4.0 International License, except where otherwise noted. Volume I by itself does not cover all topics addressed by most first semester Introductory Organic Chemistry courses. For example the topic of nucleophilic substitution is covered in Vol I Chapters 8 and 9, while elimination is covered in Vol II Chapter 14. Typically these topics are both addressed in a first semester Introductory Organic Chemistry course. 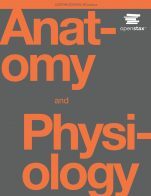 Volumes I and II would both need to be used/printed or instructors would have to rearrange chapters to suit their course objectives. Some topics lack the depth of coverage that is typically included in a traditional organic chemistry textbook. For example, the important concept of hyperconjugation (SN1 carbocation stability) is not mentioned. In chapters 4 and 5, the topics of IR and NMR theory and interpretation seem to be cut short. The end of chapter problems may need to be supplemented by the instructor, particularly for chapters 4 and 5 (Structure determination), which do not include any actual spectra except for question p5.14. Some of the Biological emphasis topics are typically not covered in detail in traditional organic chemistry textbooks. Some instructors may find this helpful if they want to include further Biological examples. Other instructors may find this distracting and exclude these topics and sections entirely. There is no index or glossary, however the author does suggest that in the electronic document or webpage the search function may be used. A table of contents is included. The content appears to be fairly accurate, but many typos were observed. A list of errors and suggestions has been submitted with this review. Nomenclature needs to be updated to current IUPAC recommendations. With respect to locant placement, Pentan-3-one is preferred to 3-pentanone. Also chirality centre is preferred to stereocenter. Otherwise the content is up-to-date, and should not become obsolete in the near future. Additions can be easily implemented. The author has a friendly, and fairly accessible writing style. Jargon and technical terminology is defined appropriately. Sometimes idioms and colloquialisms are used, which may impede accessibility to English as a Second Language and international students. Ionic species are inconsistently represented. For example: Mg +2 or Mg 2+. The ACS style guide recommends the latter. Otherwise, the text is internally consistent. The text is broken down into chapters and chapter sections. It should be easily reorganized or realigned. The order of topics will need to be adjusted to suit the learning objectives of typical Canadian Introductory Organic Chemistry courses, and to suit the individual instructor’s preferences in order. This will require using chapters from Volume II. Otherwise there is a logical and clear presentation of topics. Figure numbers and references that use figure numbers in the text would make the text much clearer and easier to follow for students. When referencing to other concepts within the textbook, include hyperlinks and page numbers. There were no significant interface issues encountered with either the online, .pdf and professionally printed/bound copies of this text. Images and Tables were clear when printed. Several typos were found, but the text was understandable. No major or recurring grammatical errors were found. No cultural insensitivities or offenses were found. As mentioned previously, the order and depth of topics will need to be adjusted to suit the learning objectives of typical Canadian Introductory Organic Chemistry courses, and to suit the individual instructor’s preferences in order. This may require using chapters from volume II or new content being written. Spelling should be changed from U.S. English to Canadian English. Additional worked examples, and end of chapter questions would also improve the text. A list of errors and suggestions has been included. This text book is not meant to be similar to other traditional organic chemistry texts, as mentioned in the introduction, and it is different. With primary attention focused on biological chemistry, the coverage and the order of topics in this text don’t follow the “usual” way. 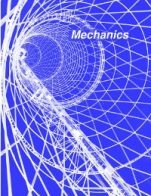 In Volume I, the first two chapters serve as review of basic structure and bonding theories. 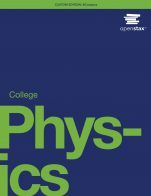 The review is even more comprehensive than other organic text, with a lot useful information covered, like MO theory, non-covalent interactions (intermolecular forces) and physical properties. Followed by conformation and stereochemistry, which is the topic any organic book must include, the structure determination that include IR, UV, Mass and NMR are discussed in chapter 4 and 5. A rather unique chapter, which is “instruction to organic reactivity and catalysis”, is then included in this text book. Usually these topics are discussed as part of the reaction chapter in other text, but I like the idea of taking it out as a separate chapter. It provides enough attentions to reaction theories; also give a good chance to include enzyme function (some topics are illustrated by using enzyme catalysis examples in this book), which is very critical topic for bioorganic chemistry. Chapter 7 is about organic compounds as acids and bases, again as review and preparation to following topics, this chapter is complete and helpful. Only Nucleophilic substitution reactions are included up to Volume I, with more reactions coming in Volume II. Since only Volume I (chapters 1-9) is available for now, it is not very confident to talk about the comprehensive for the whole book. However from the Table of Contents for Volume II, I believe all appropriate subjects will be included for the purpose of illustrate bio-organic reactions in living system. Even comparing to other organic texts, not all necessary organic reactions are (will be) discussed in this book, for example the reactions with alkenes, alcohols, but it is understandable because of the special purpose for this book. No glossary in this text. No printed index for this book. The electronic index is available in .pdf version by using “find” or “search” function. But it usually take rather long time to search a term through the whole book with 409 pages. Not sure whether the solution manual available for the book? It will be great to have some answers included as part of the text for convenience to students’ studies. Pg 110: the introduction of the term “stereocenter” is not exact accurate, the more complete definition of stereocenter is: the atom at which an interchange of groups produces a stereoisomer. Pg 112, last line, one “that” should be removed. Pg 272, last paragraph, “covalent inhibitor” should have been mentioned in earlier sentence. Pretty up-to-date as a text book. References are cited for examples from recent research papers. Necessary update with most recent progress should be easy. Clear, easy to read. Terms are usually highlighted in bold, with enough explanation in the context. The text is well divided into small reading sections, with logical order. Because of the nature of organic chemistry topic, background knowledge is always necessary for some topics, it is not always realistic to reorganize or realign the subunits. The topics are presented in clear and logical fashion. There are some issues, however, are concerned for the format of the book. No page number available in the Table of Contents. No numbers are assigned to the structures, pictures and diagram. So it is not that easy to refer to any of those in the text. The tables are all compiles at the end of the text, instead of inserting into the text. No any problems spotted in .pdf version. 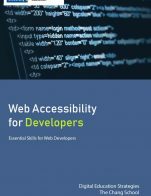 Overall, it is an interesting and useful book. With large amounts of examples from living systems (amino acids, peptide, protein, enzyme, sugar, etc), students have chances to learn, understand and apply organic concepts into biological reaction context. It provides good connections between organic chemistry and biochemistry. For same reasons, it is not a choice for traditional organic chemistry course. I like very much that the author has placed spectroscopy early in the book. I have fund that students are much happier when they learn how the structures of the organic compounds are actually determined. It also makes it easier to set more challenging assignment questions early in the course. Having stereochemistry introduced early is also an asset for the reasons mentioned above in regards to setting more challenging assignment questions. I realize that the target audience for the textbook is not that of a traditional organic chemistry course. I think that if an instructor supplemented additional information on the two types of elimination reactions (E1 and E2) during the coverage of nucleophilic substitutions (Chapters 8 and 9), it could easily be used for all students taking an introductory organic chemistry course. Several of the topics could be presented in more detail; e., g. the author uses the term stereocenters (US spelling) without mentioning that students will likely come across the terms asymmetric centre, stereogenic centre, chirality centre in other textbooks and research papers. The same is true for enantiomeric excess (% ee) – the term optical purity (that is used in other textbooks) could also be mentioned. It would have been usual to discuss the assignment of R and S when labeled compounds are considered; i.e., the use of deuterium or carbon-13 to examine metabolic pathways. Some textbooks also use “degree of unsaturation” instead of “index of hydrogen deficiency”. It would also be good to have actual spectra presented in the problems for Chapter 5, rather than just the numbers. There are not sufficient problems at the end of Chapters 6, 8 and 9. There are not too many typos, and the material is presented in a correct fashion. The author needs to be careful to clearly distinguish between ions and molecules. In the procedure for assigning R or S to the lactate ion at the bottom of page 116, he uses the term “lactate molecule” – also at the top of page 111, 113, 137 and others. The pain reliever ibuprofen is spelled incorrectly in Exercise 3.8 on page 117. There is also an error on page 123 in the structure of D-galactose – the author states that the compound has two sterocentres inverted relative to D-glucose. D-galactose differs from D-glucose by inversion of only one stereocentre (at C-4). He correctly shows (on the same page) the structure of D-mannose that has C-2 inverted relative to D-glucose. The author also introduces the prefixes alpha and beta (α and β) for the two cyclic forms of D-glucose, but does not explain what they refer to. Any changes in terminology can easily be made to the textbook. 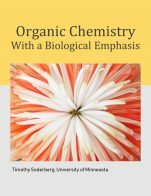 The use of many biological examples will be attractive to life science students, but may need to be skipped or assigned as optional readings if the textbook is being used for a more “traditional” organic chemistry course. The writing is clear and crisp. I get the feeling that author imagined that a student was sitting next to him as he explained the material from paragraph to the next. The author needs to choose of way of representing ionic charges; i.e., 2+ or +2. Problem 2 on page 50 uses both. Other than this minor point, the author has done an excellent job in being consistent. The text chapters/material could be easily modified/moved from one place to another. The figures/tables/reaction mechanisms should be numbered/labeled to make it easier for the instructor to direct students to particular examples in the textbook. It would also aid the discussion points if a reference to a particular diagram on a particular page could be made. It would be useful to also have the page numbers included in the table of contents. I had no difficulty accessing the textbook online, and the diagram/figures were clear and easy to read in the printed version of the textbook. I have no concerns with the grammar, nor sentence structure used throughout the textbook, the writing is very clear and understandable. Not really applicable with the material presented in this textbook. I would suggest combining Volumes 1 and 2 into a single textbook; that way, individual instructors could pick and choose the order of topics that would best suit their organic chemistry course. The chapters do not have to be in the desired order, but having all the material in one volume would be better. It would also be desirable to ensure that any US spellings are changed for the Canadian market.